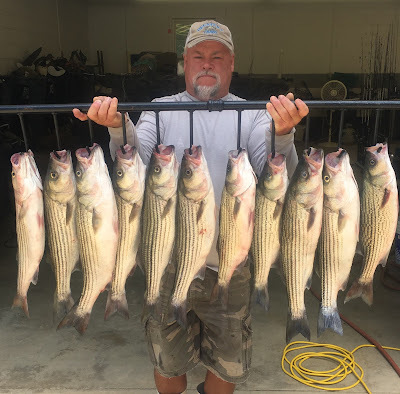 and the summer bite will only get better as we move into July. 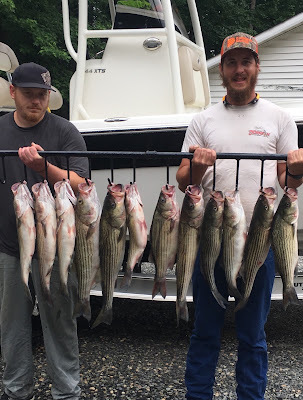 A few fish from yesterday. 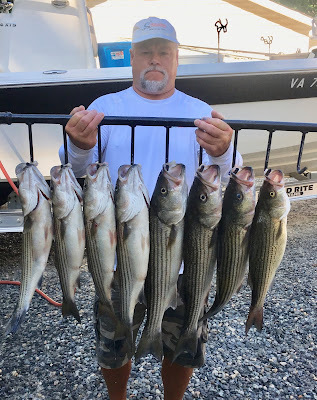 Fishing was slow, boat traffic heavy. 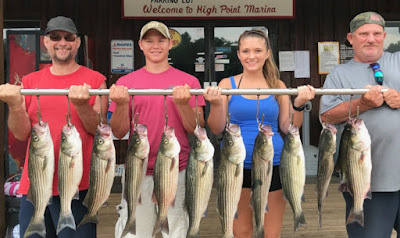 Today was great watching brother and sister wrestling Stripers. 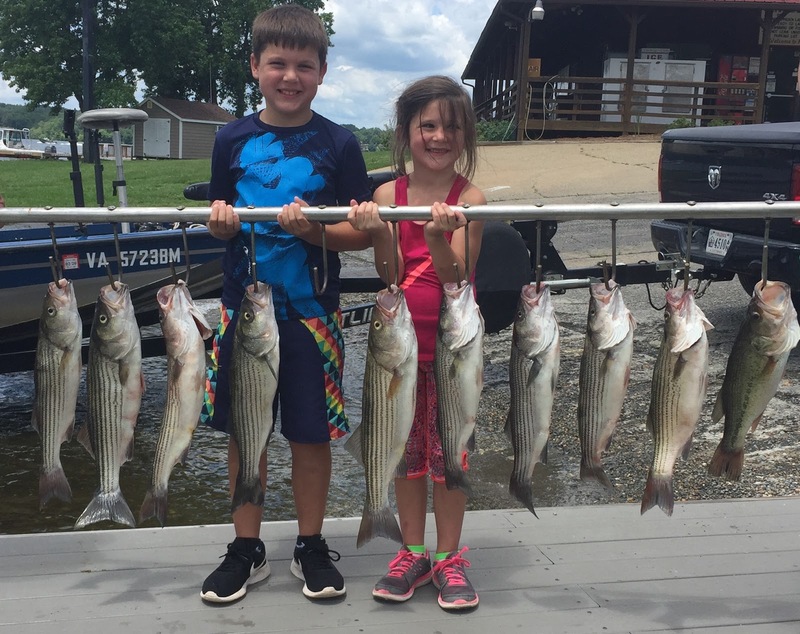 It just doesn't get any better seeing their faces after landing a fish. 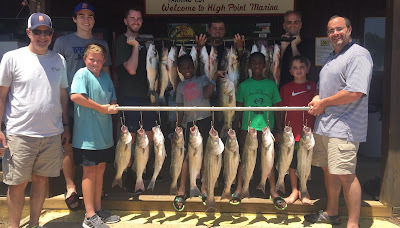 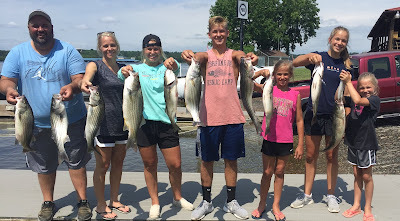 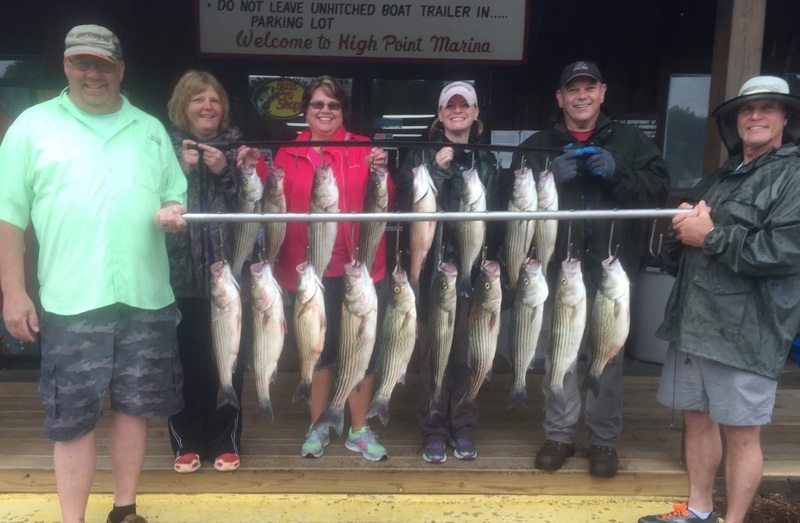 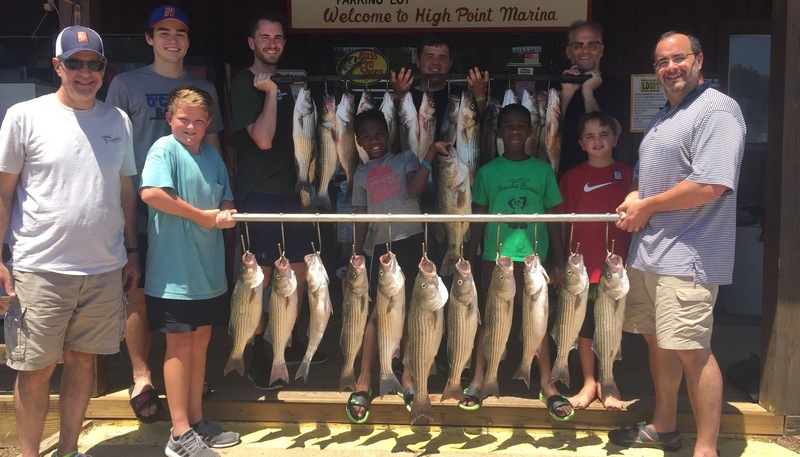 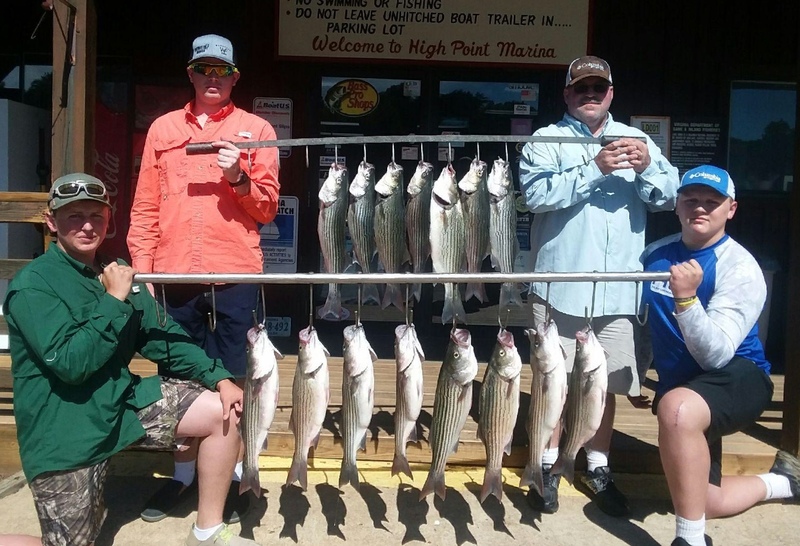 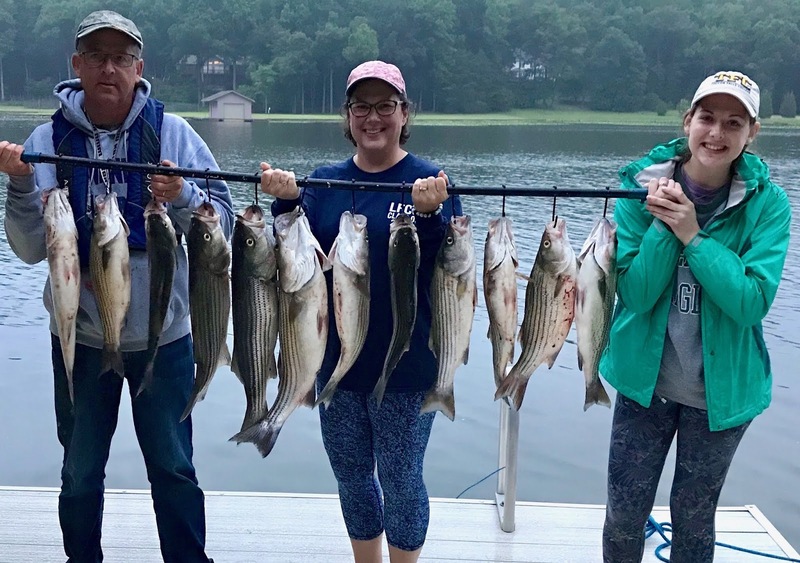 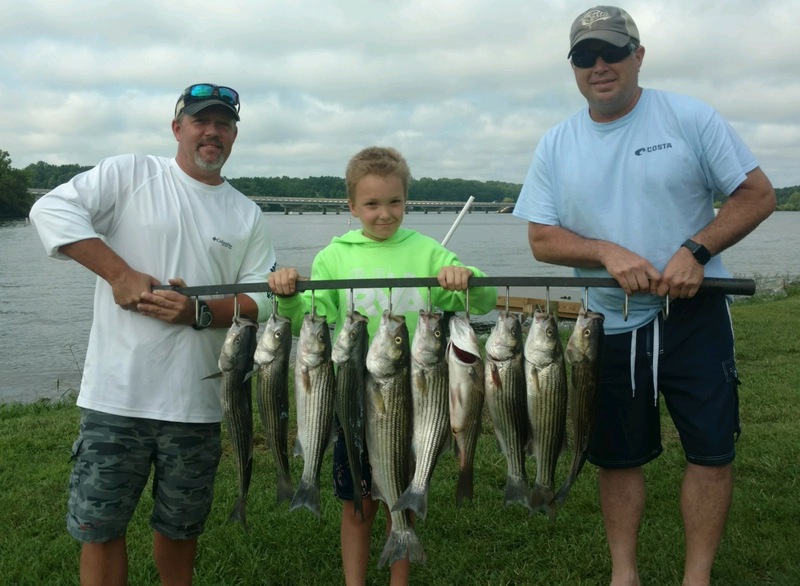 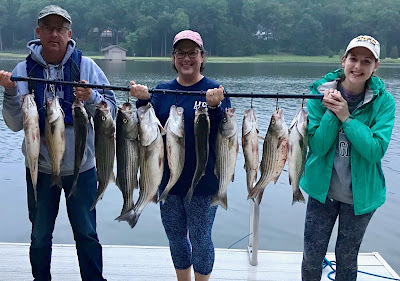 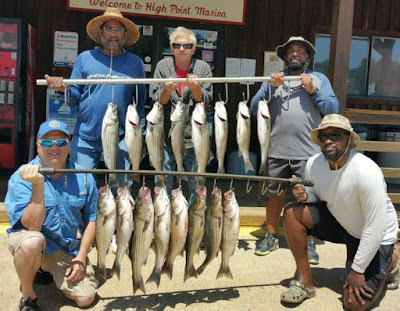 Tony took his crew out this morning and put them on some nice Stripers. 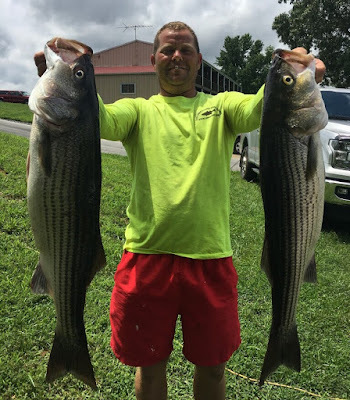 Stringer pictures really don't show a good example of actually how big the fish are. 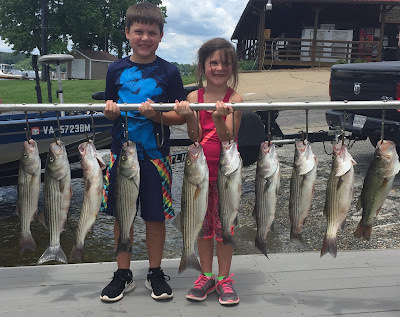 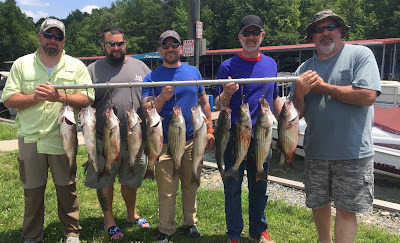 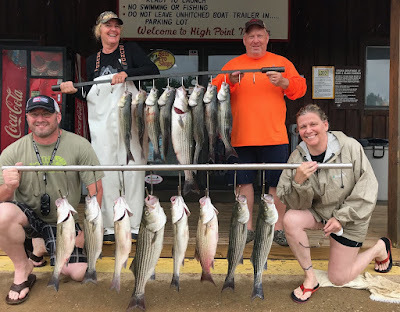 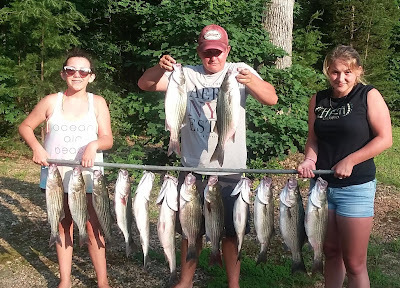 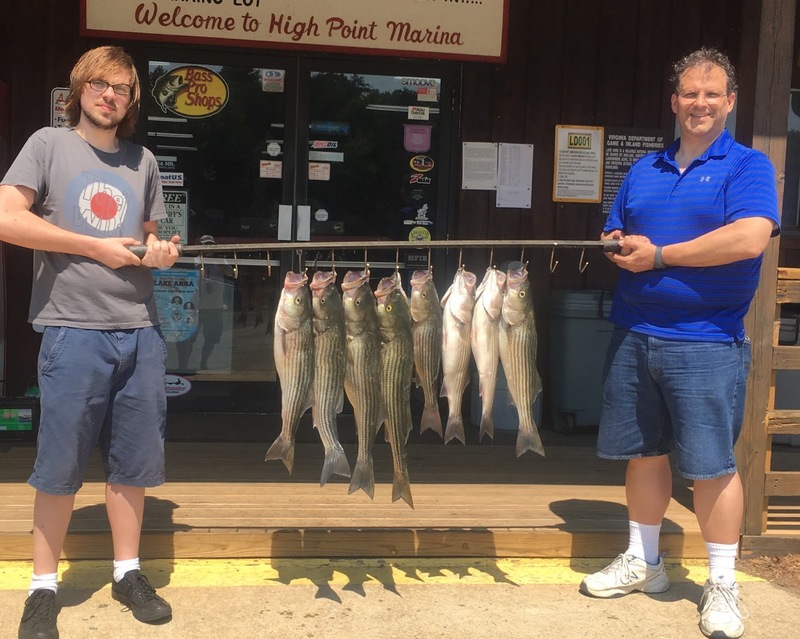 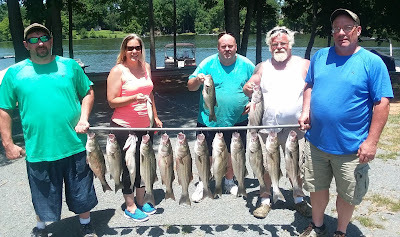 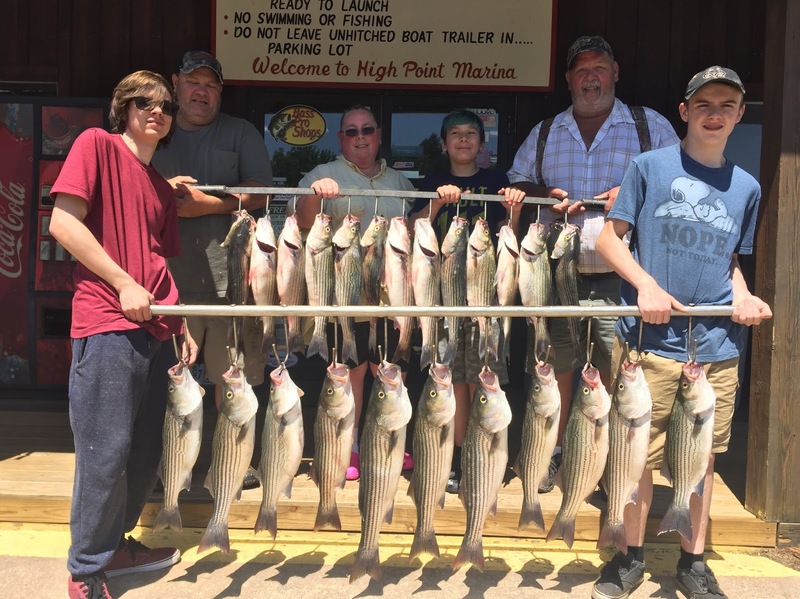 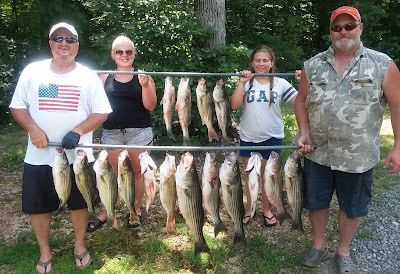 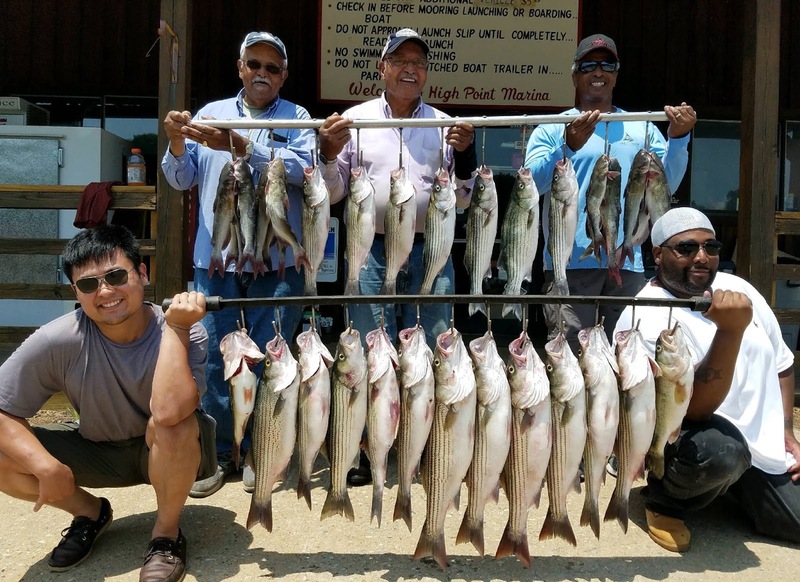 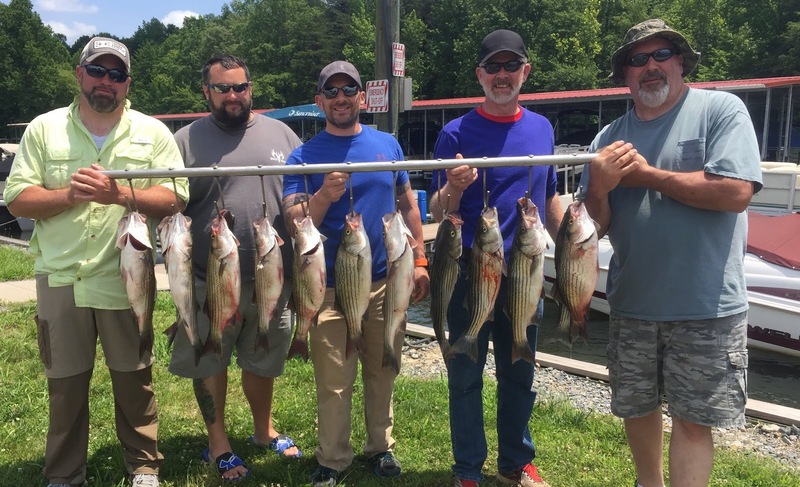 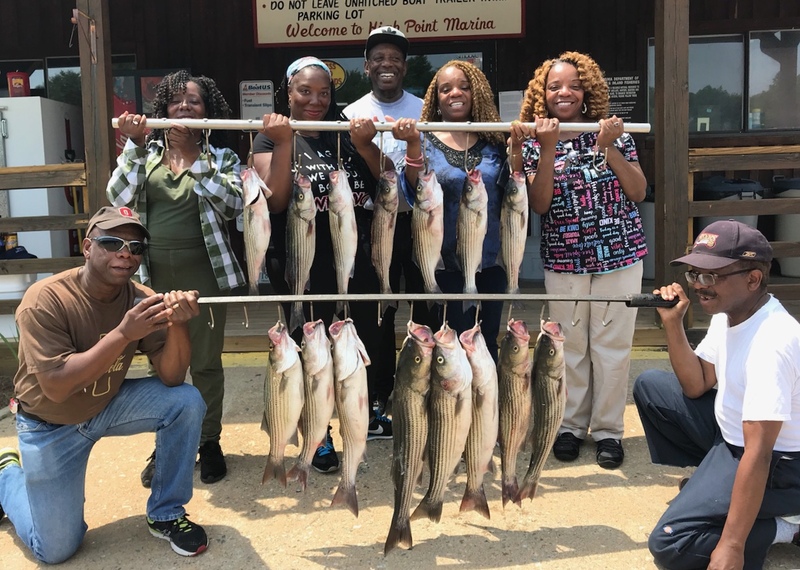 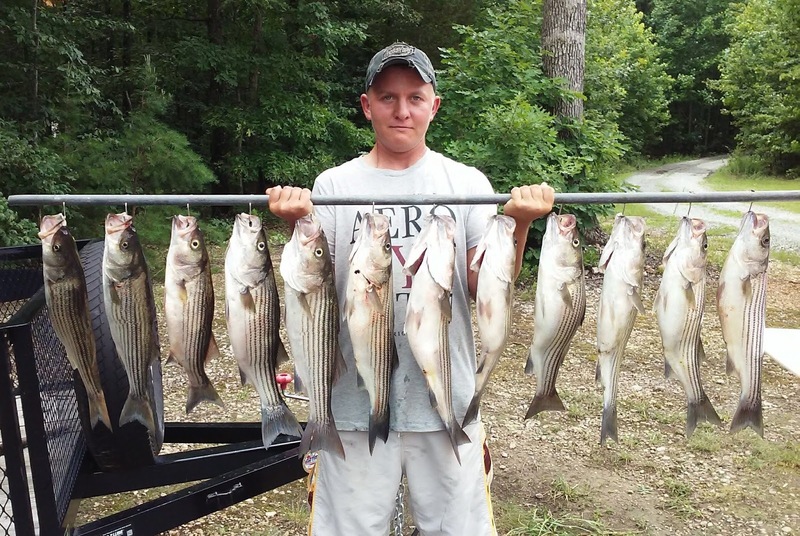 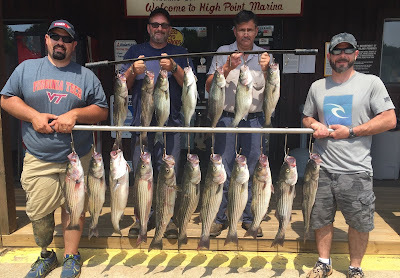 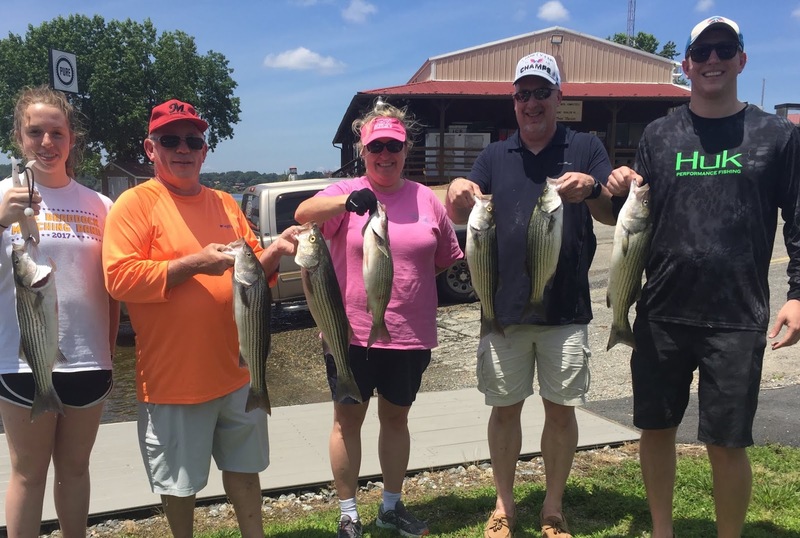 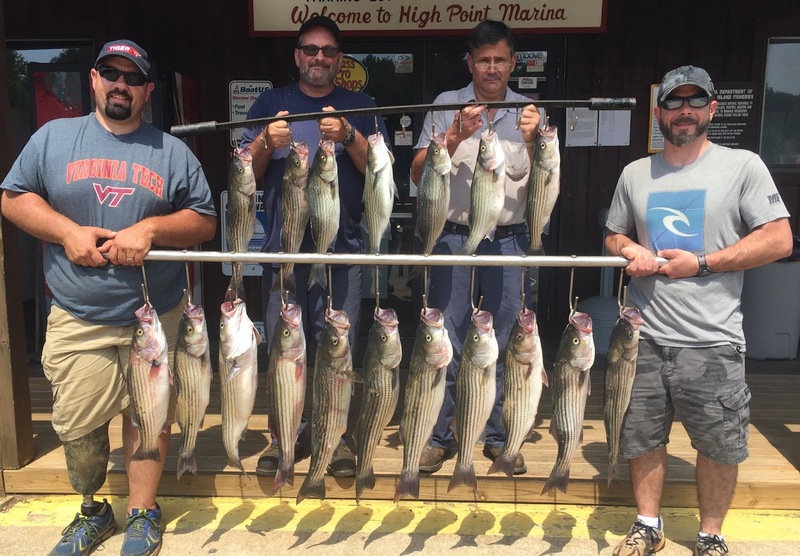 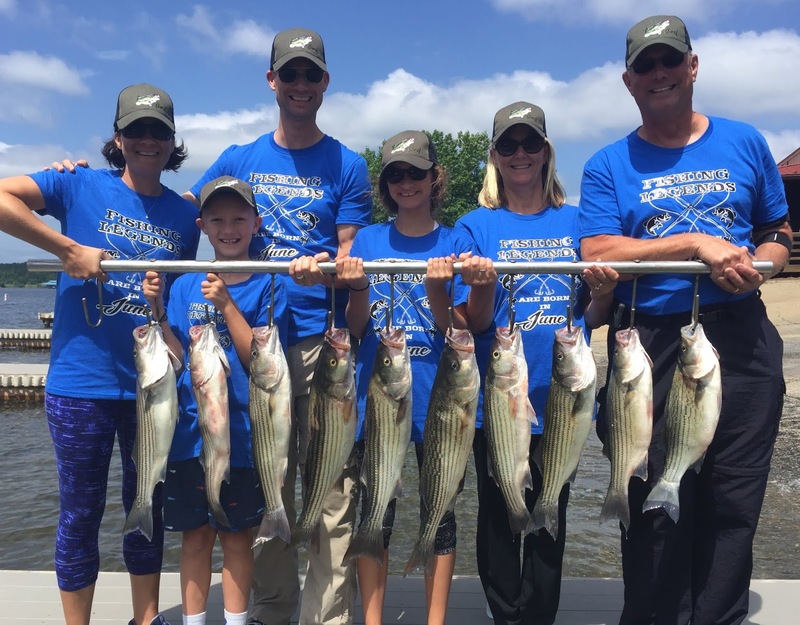 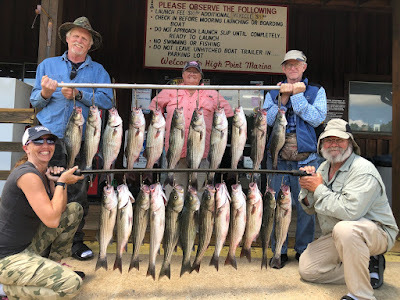 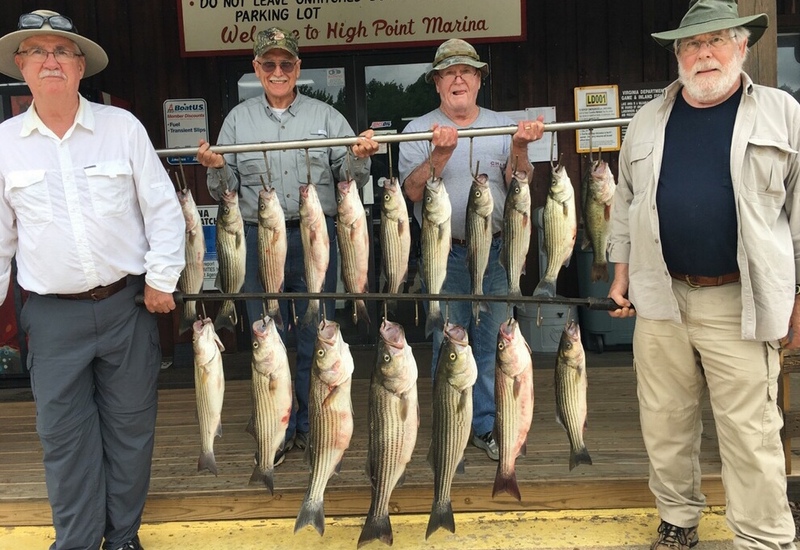 Tony is holding two of the Stripers that are on the lower bar in the middle. 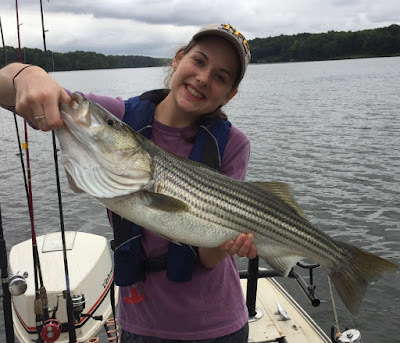 June is just about over and was a great month but I believe July Striper fishing will be even better. 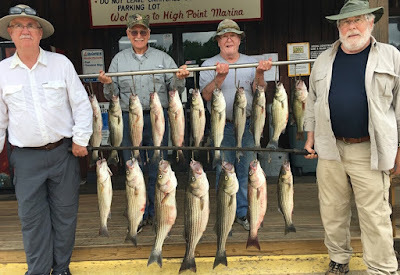 Want to see you in one of these pictures? Contact us to reserve a charter and we will Hook You Up! nice Stripers. 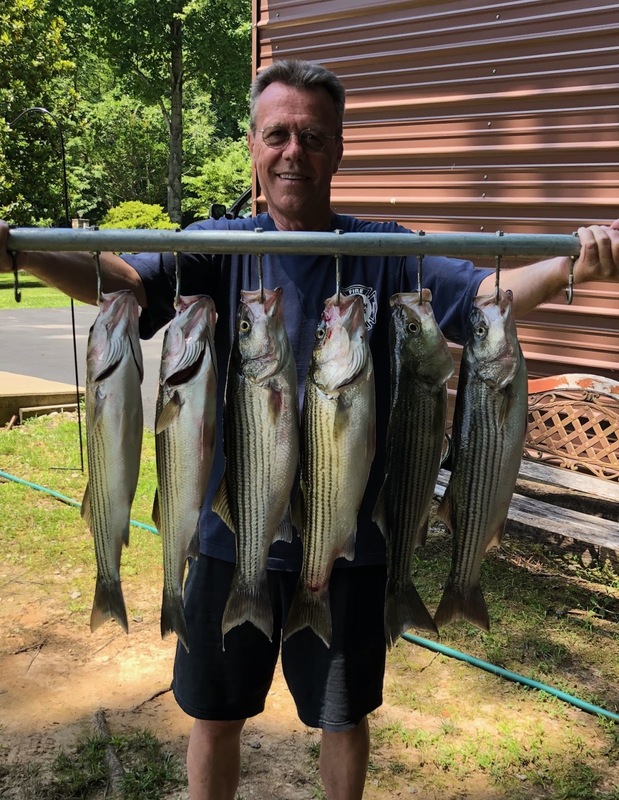 Can't keep a good man down! First two fish of the morning were 30 inchers! 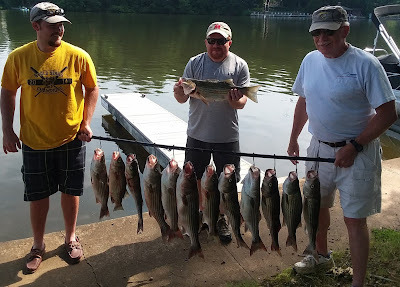 Yes it is getting hot but the fishing is getting hotter! will continue through July. Better book your trip today! 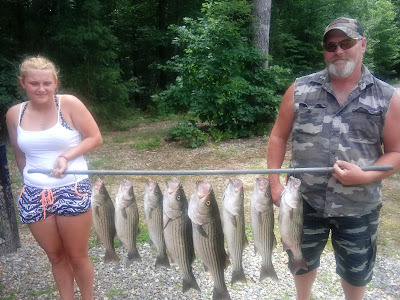 Best wishes to all the Fathers who have stood by their children. kept 28 Stripers and caught a big citation Bass as well. We are having a lot of fun chasing Stripers in the mornings. 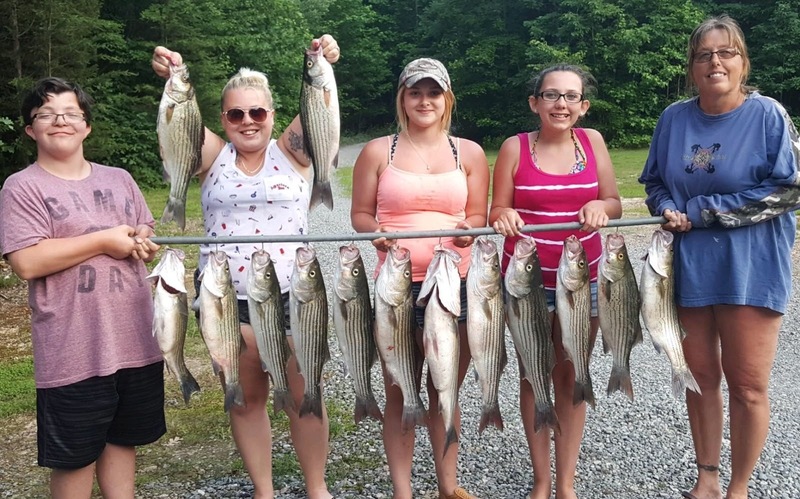 This is what a school of Stripers look like. 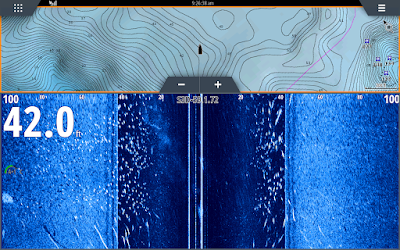 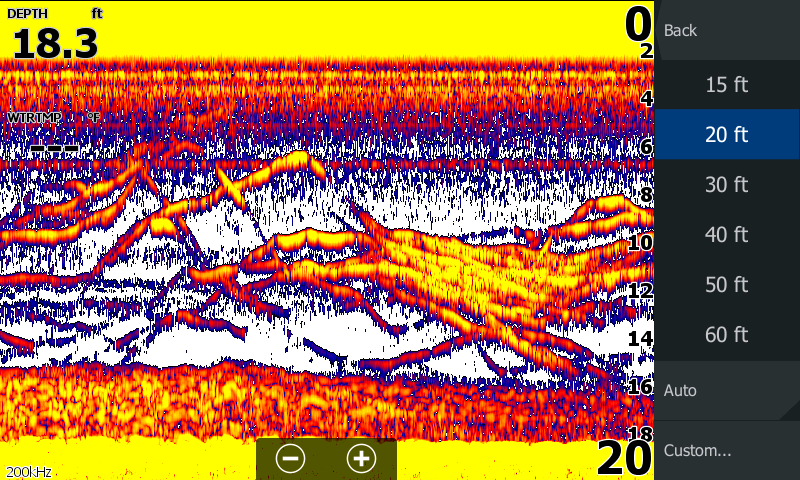 The left screen is using fish reveal and the right side is traditional sonar set at 200khz. 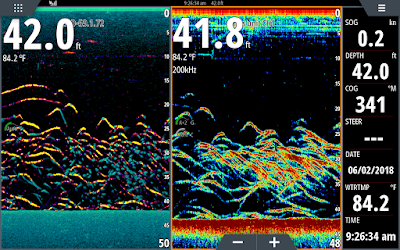 Fish Reveal shows the larger fish in the school as bright yellow where 200khz shows the larger fish with a red core. 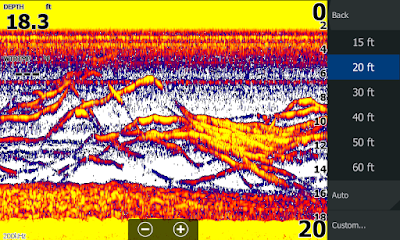 Notice how much more defined the reveal is! Sidescan pic of the same school. Both of these pics were taken after the chaos had called down and after all the fish were taken care of..Wish I had time to snap a shot when we were all hooked up. Stripers up on a shallow hump.